I am on this site called Thumbtack. It's a great service that I have used myself to get quotes on things I need to be done (My logo as an example). I also get some of my photography work from there as well! Enter in Mike. He sets a posting that he would like to get engagement photos done later that week. Usually, people schedule those out a little farther to give some breathing room from the proposal and make the announcement. But Mike had a different plan. Mike was going to propose to her (Jennifer) That evening. He wanted someone to capture the moment of the proposal and have these memories for years to come. Enter in me! 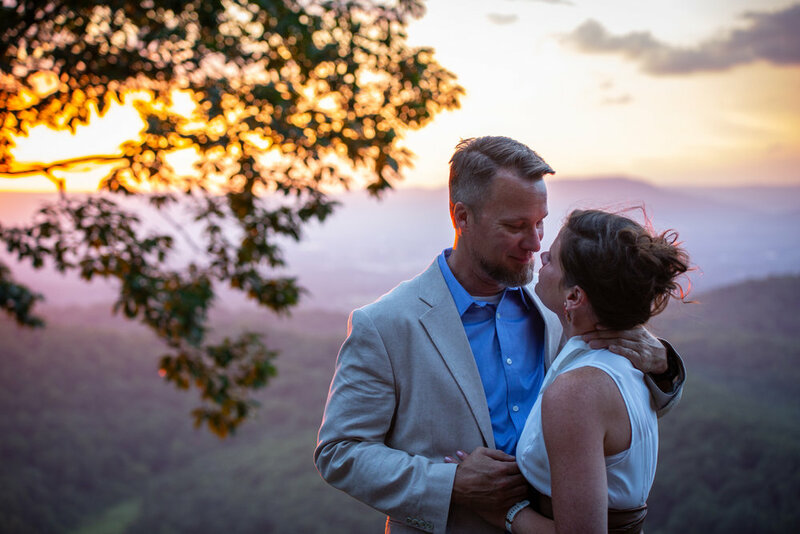 He suggested Roanoke Mountain Overlook for the sunset and man that was a great choice. I am new to the area so I am very fortunate when clients help me out like this. I really get to learn about my new home while having a breathtaking view. The whole plan almost went astray! Mike works in construction and had a concrete pour at 3 AM. The only way you see me up at 3 AM, is when I am looking at my phone, smiling, and laying back down because I know I don't have to get up yet. Jen had suggested staying home for dinner that night because of it. We know that didn't happen. Jennifer trying to get my attention to get the photo. Her realizing why I was there. The look(s) on her face when she see's the ring, looks to see if I am getting the shot, THEN realizing I was there for that purpose was priceless. I loved taking pictures of these two. There is no doubt they love each other. Here are some of my favorites from the shoot! I really want to talk about this last one. I love this picture because to me it tells a story. Mike works in construction and I know they both love going outdoors to lookouts on the parkway. 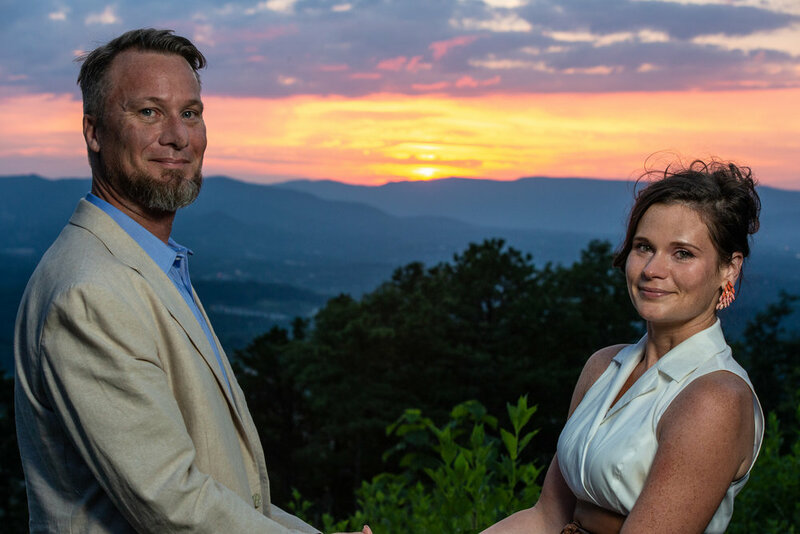 This picture shows two people who love the outdoors, works with their hands, centered around a ring that connects them through their love for each other. Making me all wet-eyed! No that is not a real term, but there it is on the internet! I had so much fun on this shoot pretending to be a secret agent, and help capture this moment for them to have for the rest of their life together! Here are more of the photos from the shoot! Tell me what you think below!